The Fyre Festival of 2017 is a great example of a ‘postmodern’ event…. an unfortunate coming together of consumerism, hyperreality, and hyper-individualised identity-obsessed millennials. In case you missed the furore, you can get a feel for what happened just by watching this trailer on Netflix – which describes the event as a being billed as a luxury music festival on a paradise island, which went spectacularly wrong in the hands of a cocky entrepreneur.. The various posts soon went viral, and 10, 000 tickets (which cost a minimum of several thousand dollars each) sold out within 48 hours to wealthy millennials who thought they’d be getting three days of luxury jet-set partying in the Bahamas. In fact it was that exact tweet that convinced the organisers to admit they’d failed and then just cancel the festival: any remaining incoming flights were cancelled, and the unfortunates who had already arrived had to make their own way back to the mainland. 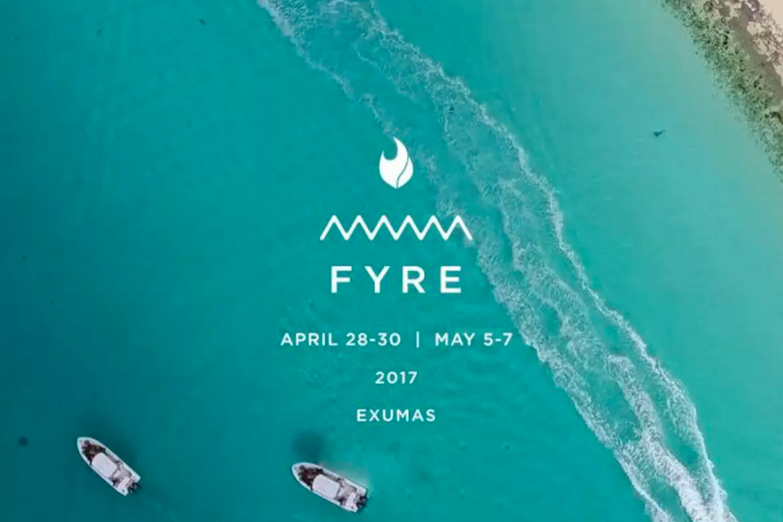 The Fyre Festival seems like the quintessential postmodern event: t’s basically consumerism meets hyperreality. Effectively a bunch of rich millennials paid a fortune to attend an event on the basis of a fiction spread via social media, and then found out it was a fiction when they arrived in physical reality. At root, it’s logic of good old conspicuous consumption which drives the event: the point of the millennials going wasn’t for them just to enjoy the bands and the vibe, the point was the show off the exclusivity – to demonstrate to their other friends that they’d made it, that they had enough money to burn on this luxury, pioneering island festival. This even also illustrates hyperreality – the event was sold on the basis of a fiction created over one weekend, and the images created their lodged themselves in thousands of people’s heads: they thought they’d be getting a festival plus a luxury island vibe, but hardly any of them checked the reality: there was never enough space on the island to actually fit 10K people and the necessary infrastructure, and islands can also be pretty uncomfortable places – sand, humidity and mosquitos. But no, the hyperreal image is what stuck with the vast majority, rather than the thought of thinking about whether such an event was actually feasible in reality, which it obviously wasn’t! The Fyre Festival is also a powerful reminder of the increasing power which advertisers and influencers have in our lives. Brands are set to pay influencers $6.5 billion in 2019…. Perhaps it’s time to regulate them a bit more?!? I guess it’s also worth noting that the organiser, Billy McFarland, is now serving 6 years in jail for fraud, so this is one example against the ‘Marxist’ view of crime: here’s a member of the elite class (NOT the super-elite) getting served justice. Oh, and analysis aside, it’s hugely entertaining, I mean: do I feel sorry for these rich kids, not in the least! The Netflix documentary is well worth a watch, and it’d make a great end of year movie! Next post: How many people are in poverty in the UK?